In most endeavors in life – most GREAT endeavors – there will come a time – that you hit a wall – and you will probably hit that wall again. and again. and again. and again. These are the times when you need to summon all of your strength and sinew and remaining energy and say ‘Nah. It ain’t over until I say its over – its not over until I get through that wall. It’s not over until I win.’ Then lift yourself up and you get back to work. Because you could be SO CLOSE to breaking through – you could be right on the very verge of greatness – you could be so much nearer to the mountain top than you realize. Seriously. Think of a few examples. Oprah Winfrey was physically and sexually abused, as a child, by her own family members – starting at the age of 9. She became pregnant, and miscarried, at age 14. Her first television show was an epic failure. But she persevered – and eventually broke through that wall. Shaquem Griffin (NFL Player) has only one arm – at age 8 Pop Warner Coaches tried to prevent him from joining football – after high school no colleges would offer him a scholarship – in college he spent his first 3 years on the bench and then, after his junior year, he was sent home. The year after being sent home he was named the best defensive player in the conference and last weekend, he was drafted into the NFL. These are only a minor few of the endless examples of people who failed over and over and over again before they reached an unprecedented level of success. The point, here, is that each hit SIGNIFICANT walls – but wouldn’t quit – they just kept going until they broke through the wall. There are millions of young girls who suffered awful abuse in the same way Oprah did and their life fell apart- millions of potential politicians who simply gave up after losing an election or two – millions of potential professional football players who quit at the first sign of adversity (and most of them had the advantage of two working arms unlike Shaqueem Griffin) – the only difference between those millions of people and the Oprah’s, Lincoln’s, and Griffin’s of the world is that the latter refused to quit until they broke through that wall. 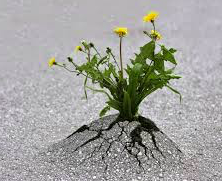 And once they broke through they experienced abundant life. I mean think about it for a second. Really put yourself in this situation. Imagine a scared, abused, pregnant 14 year old girl. Imagine how hopeless she felt. Seriously put yourself in that situation for a second. She had no idea she’d one day be Oprah – she had no idea how GREAT things would become. But she refused to quit until she won. Imagine a young Abraham Lincoln walking into his house and saying ‘I lost again. Fifth election in a row I’ve lost.’ Exasperated, deflated, defeated – embarrassed in front of his family – he had no idea he’d one day go down as perhaps the greatest U.S. President ever. Much the same – YOU have no idea what this Universe has in store for you. No matter what you are going through right now. No matter how hard it seems in this moment – every incredibly successful person faced multiple moments where it all seemed hopeless. All that you can see is the moment right now. You have no idea what is coming though. On August 21, 2015 Mark Mooligan was lying on the floor of a Paris Train with blood pouring out of his neck wondering if he was about to die after he’d just been shot by an attacker on the train – On August 15, 2017 Mark Mooligan had just finished another day of acting – playing himself in a movie about the train experience (Called 15:17 to Paris) directed by Clint Eastwood. You have no idea when you’re going to break through and get to that place of greatness. You could be SO close – there could be amazing things in store for you. You could be the next Abraham Lincoln or Oprah or Carrie Underwood or Einstein – OR you could be SO close to finally breaking through with your weight loss goals, your muscle gain goals, your financial goals, your career goals. That promotion could be coming tomorrow. That addiction breakthrough may finally happen next week. That lucky break could be coming. Amazing things you never imagined could be right around the corner. Just. Don’t Quit. Don’t accept defeat. Keep going until you win. That day of victory is coming – I promise. Unless you quit – Then you guarantee yourself that you will stay where you’re at. So keep pressing, with all you have left, as long as you have something left – and soon you will break through that wall.